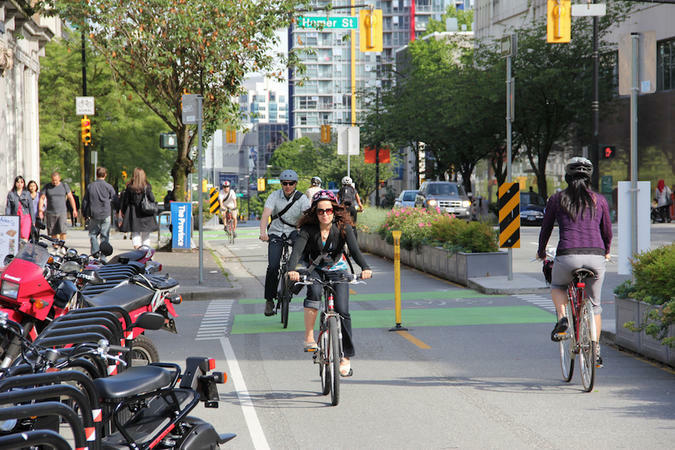 Header photo of Vancouver bicyclists by Paul Krueger via Flickr. This transport model must serve as a reference system to develop efficient and environmental friendly transport in major cities across the world . Vancouver is a wonderful city and this is one of the many reasons why. Now, if I could only afford to live there…I would move in a heartbeat!